Saw this one on The Tonight Show. 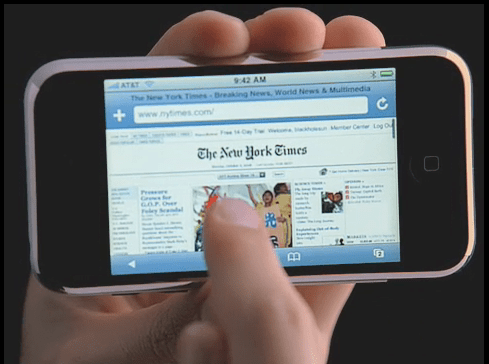 This ad focuses on the Internet capabilities of iPhone. I’d love to know how the Gray Lady got such prime air time and association with the most hyped device of the year. Would’ve thought that Mossberg would get that nod. As with the other ads, the phone part is an afterthought. This entry was posted in advertising, apple, consumer electronics, iphone. Bookmark the permalink.